It has egg, sausage and cheese so I can’t argue this is great additional to a brunch table. I ate two warm and called it lunch on Saturday. The rest kept in the air tight container as I can see by Sunday, when the boys are at home, it will be gone. 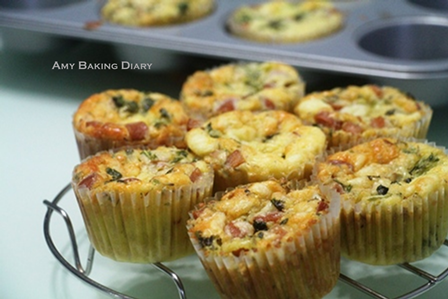 I used to bake these savoury muffins when I was juggling between my work and 2 young kids. I would make a few varieties and freeze them. The boys would eat it for tea break when they came back from school. They would take them out from the freezer and heat it in the mini oven on their own. Now they have grown up and these muffins are still their favourite for tea break. 2)Saute onions with oil for 3 to 5 mins or until tender. 3)In a large mixing bowl, combine the dry ingredients – flour, salt, pepper and dried herbs. Stir in the gouda cheese. 4)In a smaller bowl, whisk together the egg, milk and oil. Stir in sautéed onion and sausages. Fold in the dry ingredients, making sure all the bits are well coated. 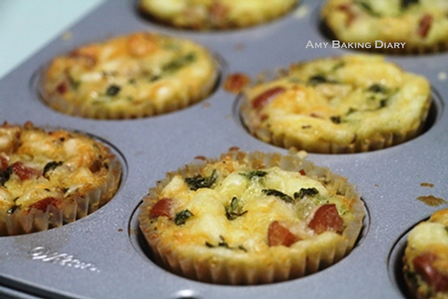 5)Grease the holes of a muffin pan or line with cupcake liners. Spoon the batter in the muffin pan about 2/3 full. 6)Top with the reserved cheese and decorate with some leaf. 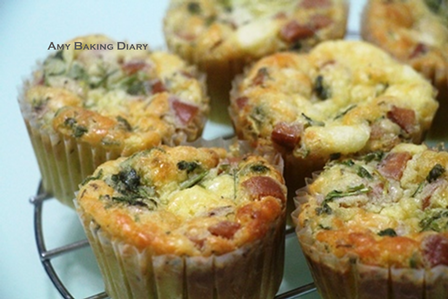 7)Bake at 200°C for about 22-25 minutes, or until the tops of the muffins are brown. 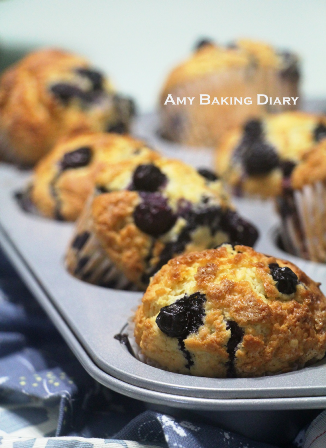 Allow the muffins to cool in the pan for about 10-15 minutes before transferring them onto a wire rack to cool completely. 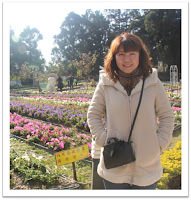 Hi Karen, nice to hear from you. Thanks!